What my well-traveled friend failed to tell me about The Range Café was that their logo was not going to be what I expected. I thought – and you did, too, I’ll bet – that “range” referred to the open range, to ranching, to cattle country, or whatever. So it was a little bit of a giggle when I realized the the “range” was an old-timey kitchen range. 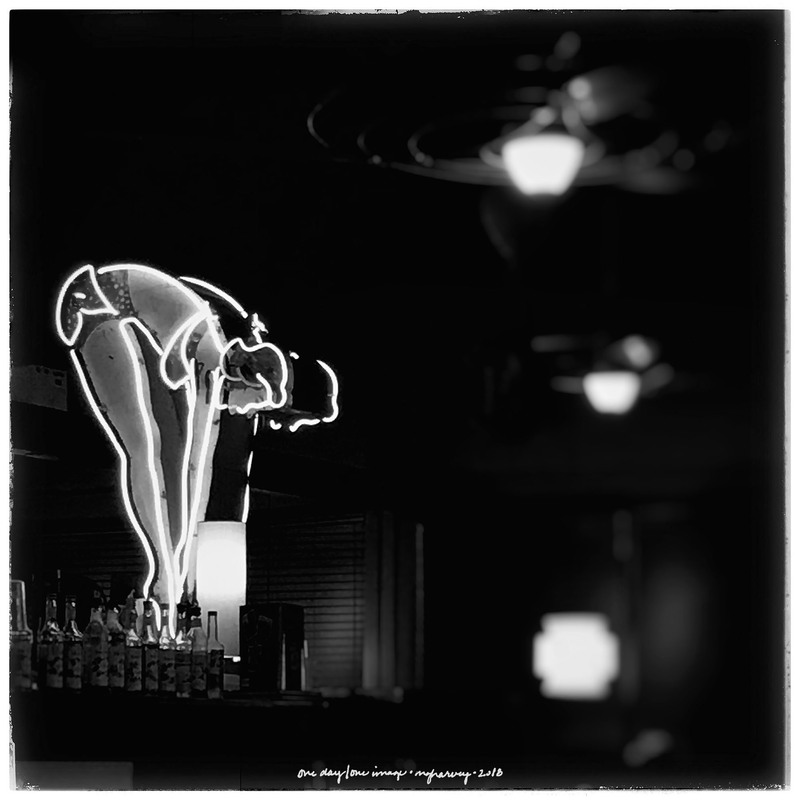 This vintage neon maiden – who is quite bendy – was a bit of a giggle as well. Posted on March 22, 2018, in Photography and tagged 365 photo project, Albuquerque, black and white photography, learning to see, melinda green harvey, monochrome, neon, neon sign, one day one image, photo a day, photography, postaday, The Range Café, thoughtful seeing, travel photography. Bookmark the permalink. 4 Comments. You just keep us in awe ! Thanks, Julie. My friend who told me about the restaurant stressed the food, so all the kitschy stuff was a good surprise.